Last year I was a member of a fabulous bee called Bew Sewcial. This bee is an improv bee and the challenge was limited to using only solid fabrics! The bee took me way out of my comfort zone. I learned so much and if anything it taught me to take more chances. Although I opted out of the bee for 2016, I am so glad I was able to meet so many of the members this last February at QuiltCon and I am also thankful that I gained so much knowledge from all of them. I have grown tremendously in confidence and skill through my year learning, virtually, from these lovely and talented women. When it was my month to be queen in the bee I asked the group to make curved shapes in their blocks. 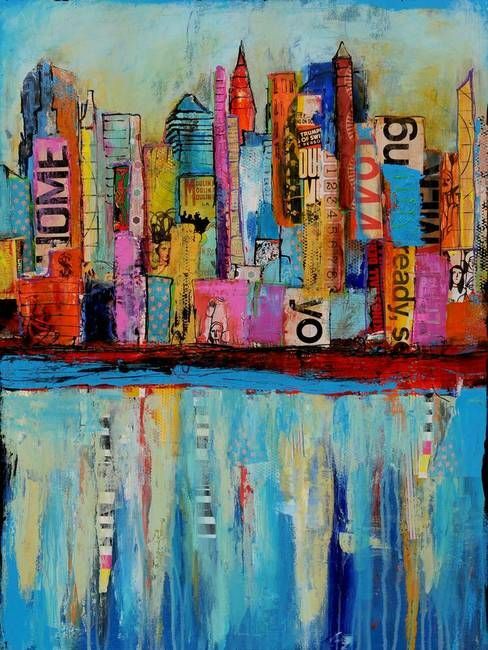 For color inspiration I used this photo and asked that there be a tiny bit of black in each block. Each member of this bee is so very talented and as the blocks started arriving in the mail I became more and more excited and confident in my choice of colors and curves inspired blocks. My husband and I would pick our favorite blocks as they arrived but in the end if I had to pick a favorite I would not be able to. Each block is unique to the maker and all very special to me. Once I had the blocks arranged and sewn together, I decided to treat each block as a mini quilt. This allowed me to quilt each block differently, trying new shapes and motifs. I am starting to feel more confident with my free motion quilting. It's true, the more you do the easier it gets. I need to improve on my starts and stops. I hate burying threads, so consequently I will never enter a juried quilt show. I am fine with my lazy attitude to free motion quilting. I make quilts to be used and I think back stitching makes the quilting less likely to come out through years of use. Because the quilt has so much going on with all the colors, shapes and varied quilting I decided it needed a faced binding. I made the binding using the same fabric as the backing. I am very pleased with the way this quilt turned out and I am so grateful to the women of Bee Sewcial for allowing me to be a part of this bee. Our youngest son has already put dibs on this quilt. I thought is looked very "1960's" with all the bright colors and fun shapes. He has a mid-century modern house, so it might be a match made in heaven. 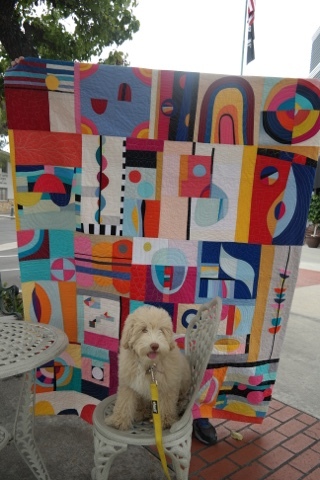 Why have I never taken a quilt to be photographed with this background on our Main Street in town? I wanted to photograph it by some modern buildings, but that is why this post is so long overdue...I never found the right building. Binding: faced, using this tutorial. Fabric same as the backing. Gorgeous and I love that one of your sons claimed it. So neat knowing it will be used and loved! Wow!!! 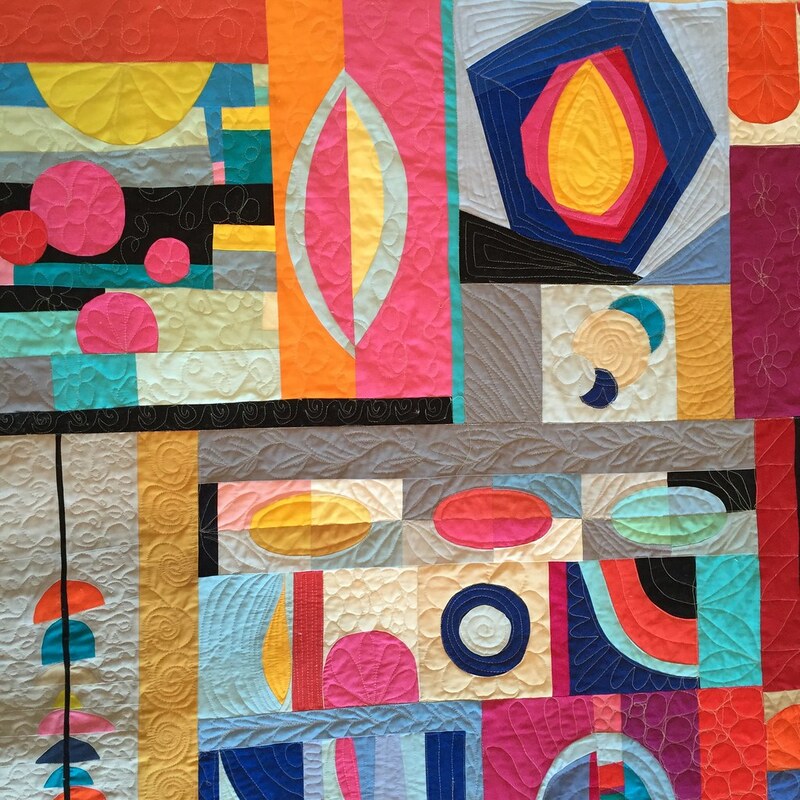 I love the way you quilted this quilt and how well all the different blocks work together. It really is very special, I hope your son enjoys having it. 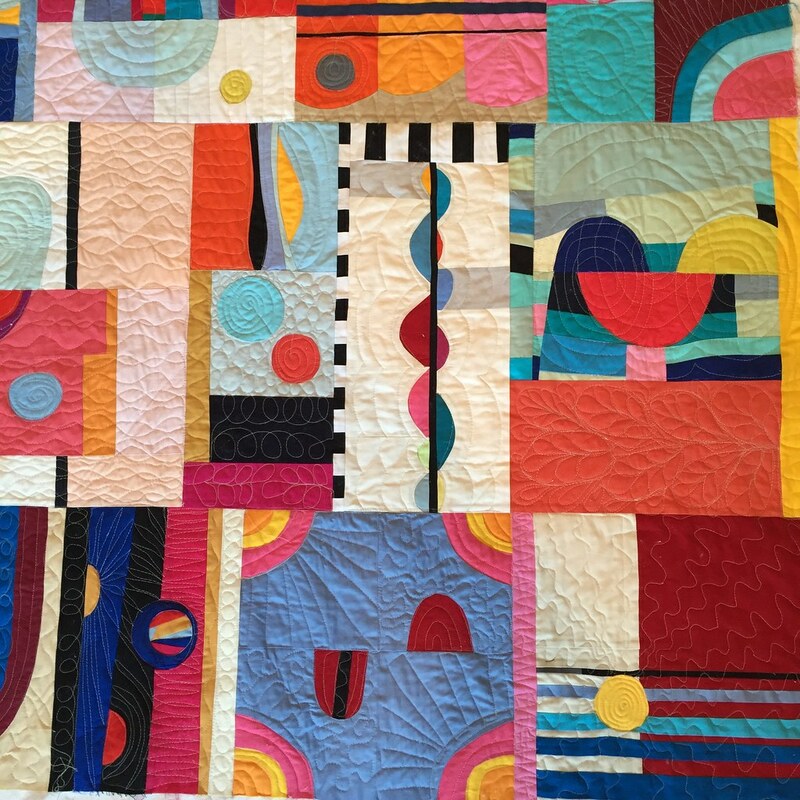 I am decidedly not 'mid-century modern', but I really love this quilt. 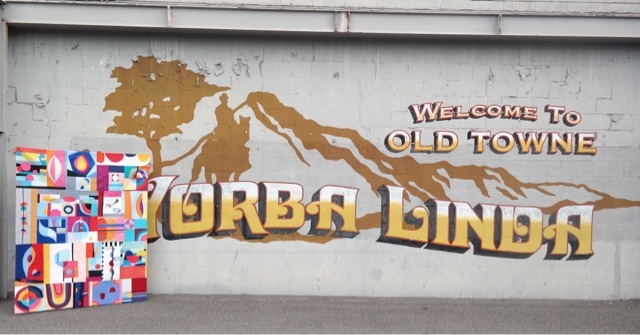 The colors are especially appealing and the touch of black was brilliant. 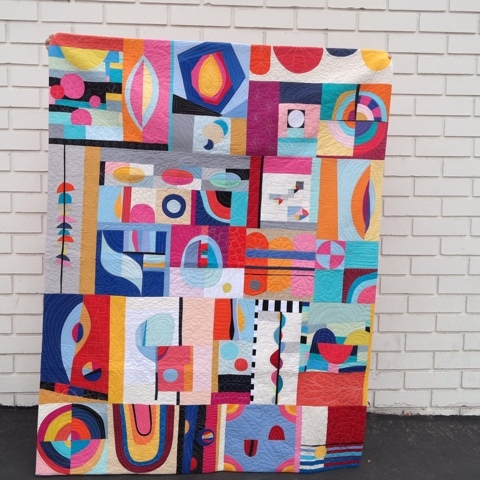 This quilt is such a triumph Di! To think from that one inspiration photo you ended up with a variety of blocks that play so well together, all in part to your clever placement of them! I love this quilt and you should be very proud of it! Wow - what a stunning quilt. 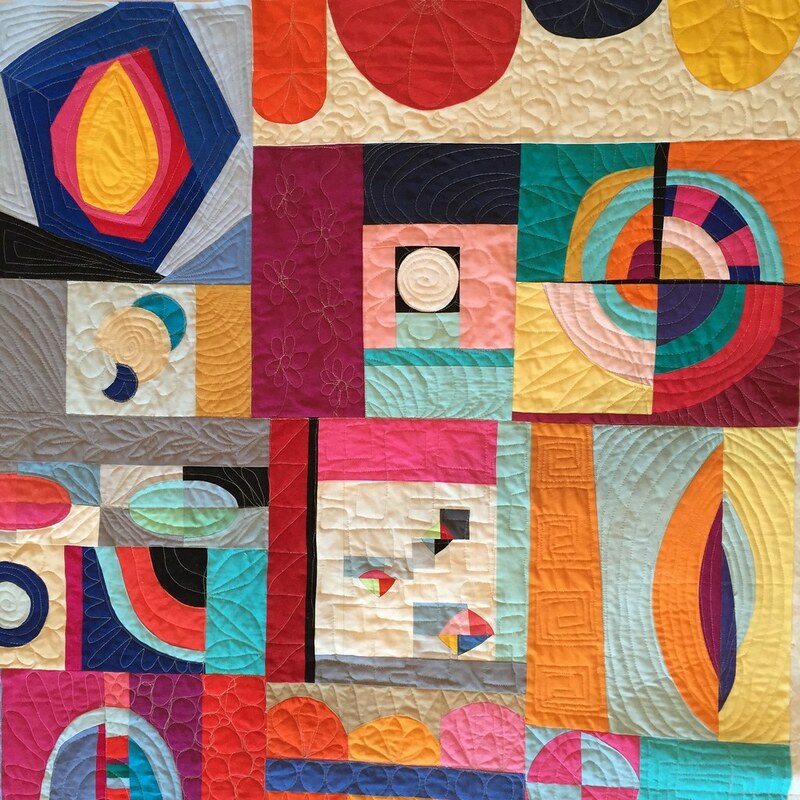 The way you've put together all the different blocks is fantastic and your quilting is just right for it. OH wow!!! I just love this quilt? 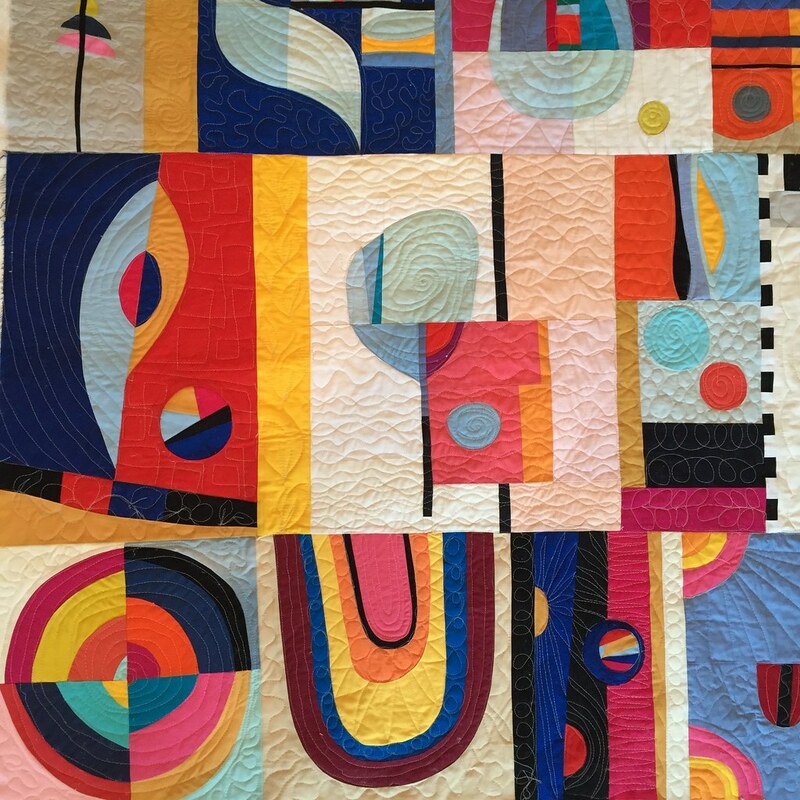 The colours, curves and the quilting is fantastic! 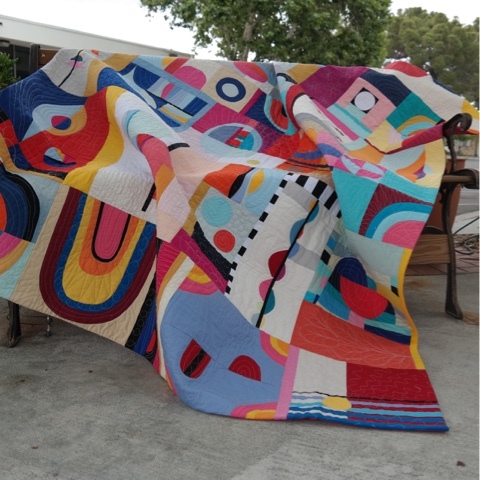 This quilt is just totally WOW! Exquisite in every way! All of the blocks are wonderful....bravo! Love it - I wouldn't give it away to anyone. Not even my son (if I had one)! So, so, so terrific! I love seeing how you created a cohesive whole out of the different blocks you received--a real challenge, even though they harmonized. I think your finished quilt is really stunning, and love the photography setting!